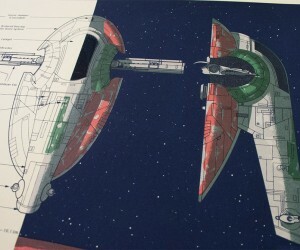 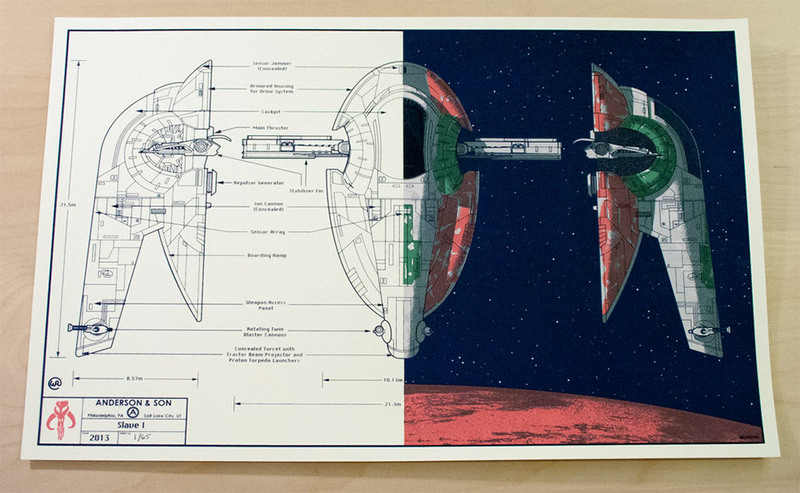 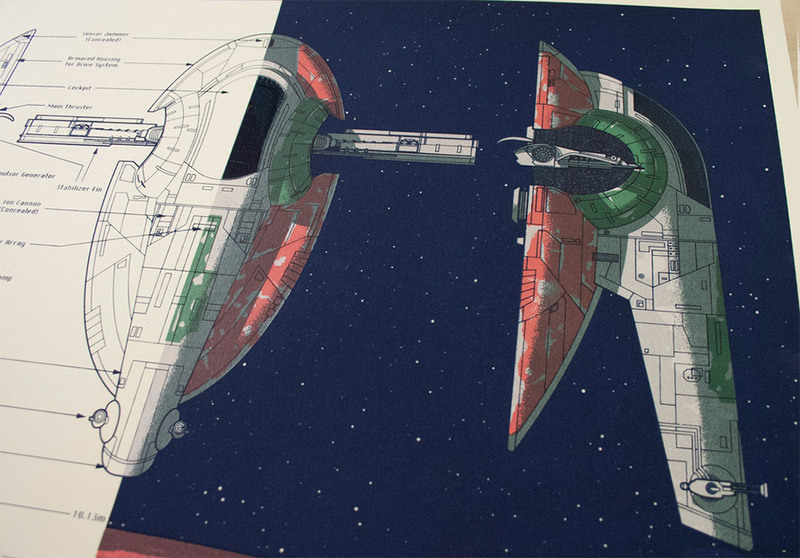 This incredible artwork shows the blueprints for Boba Fett’s easily recognizable starship, Slave 1, from the original Star Wars trilogy. 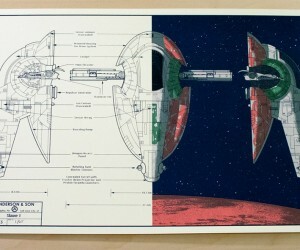 Created by artist Timothy Anderson in collaboration with his father, Will Anderson. 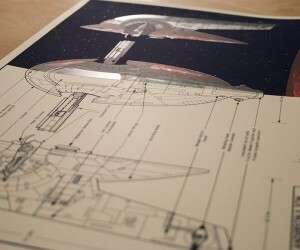 You can get a print of this image, which is done in seven-color screen print and features four metallic inks. 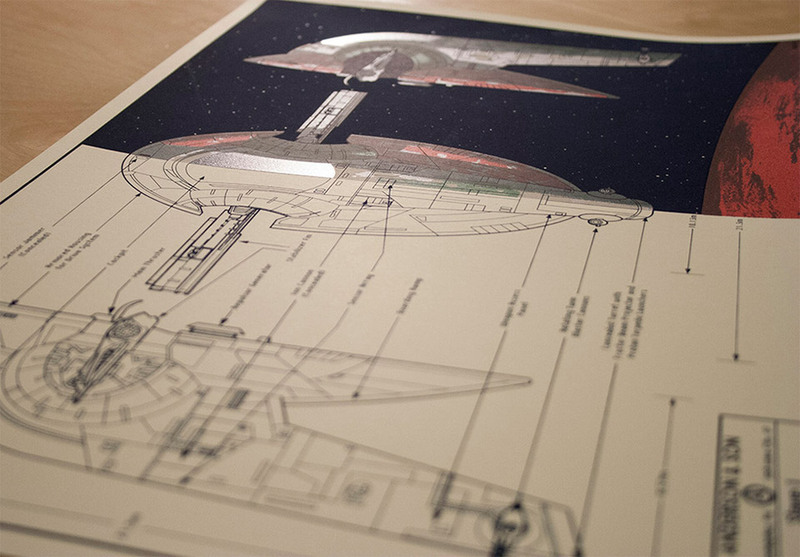 Each of the 65 limited edition prints is done on 90lb Stonehenge Natural stock and measures 12″ x 18″. 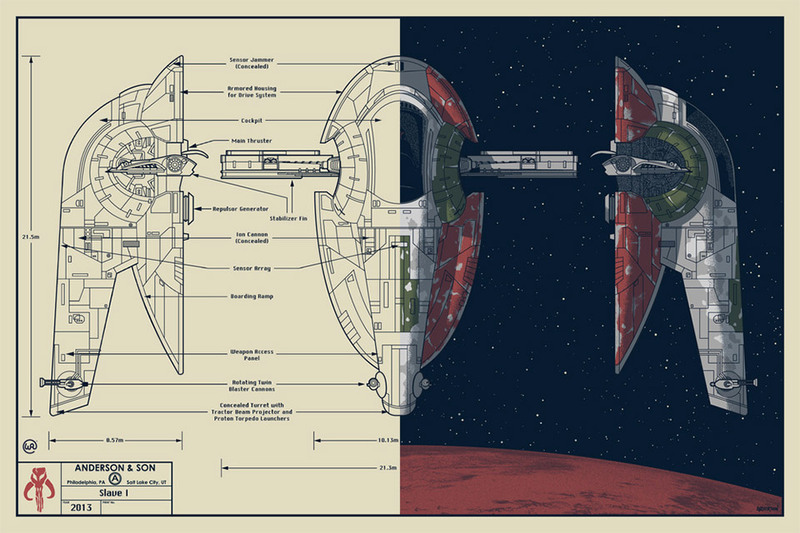 Be sure to also check out Anderson’s Advanced TIE Fighter and Battle of Yavin ship blueprints.